Music is a natural state of mind to Frenchman Cédric Lass. Ever indulged by the way sound influences and shapes people, his incentive in life is to move the crowd with his own treat of the trade. With more than 15 years of dj experience, a master in Music Technology and several international residencies, it’s not hard to envision a promising future ahead. Next to reaching out to the Trance scene through his weekly ‘Trance From Space With Love’ podcast, pushing over 100,000 downloads, his career has taken him from places all across Europe, Asia and Russia to USA and South America. With more than 20 originals signed in the past 12 months, chances are high you’ll be dancing to a Cedric Lass original down the clubs soon – if you aren’t already. Open-minded behind the decks as well as in the studio, you’ll find it no surprise that his originals cover all things Trance music. 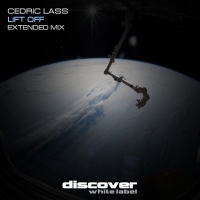 A Lass record is hard to define, but perfectly balanced Trance, Progressive and Uplifting. With a unstoppable drive to create, share and living for the music, big things are ahead for this French producer, dj and rising star. You’re advised to keep an eye out for Cedric Lass.